Today I spoke at the Irish Business Organization of New York’s women’s networking luncheon and addressed them on the tech-driven future for humanity, and why women should be leading it. Here are those insights in brief; if you’d like to hear more of this, of course, I elaborate on all of these points within my keynote presentations and my books. The tech-driven future will be neither dystopia nor utopia. It will be what we make it. We tend to tell a story about technology that pits the worst case scenario against the best case scenario — and conveniently leaves our actions and responsibilities out of the equation. But the truth is we are very much responsible for shaping the future of technology. Is it possible that tech can even help us be better humans? As I repeatedly asserted in Tech Humanist, with the emergence of automation, artificial intelligence, and other capacity-expanding tech, we will have the opportunity to create the best futures for the most people. We just do. We seek meaning, we’re compelled by meaning; when you offer meaning to us, we can’t resist it. To bridge the gap between what makes tech better for business and better for humans, business needs to create more meaningful human experiences at scale. Moreover, the shape meaning takes in business is purpose, and the amazing thing about purpose is that when you can be clear about what you are trying to do at scale, it helps both humans and machines function more effectively. Humans thrive on a sense of meaning, common goals, and a sense of fulfilling something bigger. Machines thrive on succinct instructions. A clearly articulated sense of strategic purpose helps achieve both of these. Robots aren’t “coming.” They’re here. Everyone talks about robots coming like they’re some far-off future as if millions of homes don’t already have Roomba and Alexa. What tech does well vs. what humans do well will continuously evolve. What does tech do well, for now? Productivity: speed up laborious tasks, improve reliability of variable tasks, automate repetitive tasks, archive, index. Certain types of predictive insights: track data, expose patterns. Security: impose rules and limits, regulate access. Also, humans can’t leave meaning up to machines. That’s value humans add to the equation. Machines are what we encode of ourselves. And since that’s true, why not encode our best selves? Our most enlightened selves? Data-rich experiences tend to be better experiences. Just remember that analytics are people. Everyone loves the oft-quoted statistics about data: every 2 days we create as much information as we did from the beginning of time until 2003, and over 90% of all the data in the world was created in the past 2 years. And there are huge opportunities to use this data to make amazing, delightful, fulfilling, enriching human experiences possible. But what’s important in all of this is remembering that most of this data comes from humans, and represents human identity, preferences, motivations, desires, and so on. Most business data is about people. Analytics, in other words, are people. And while relevance is a form of respect, discretion is, too. 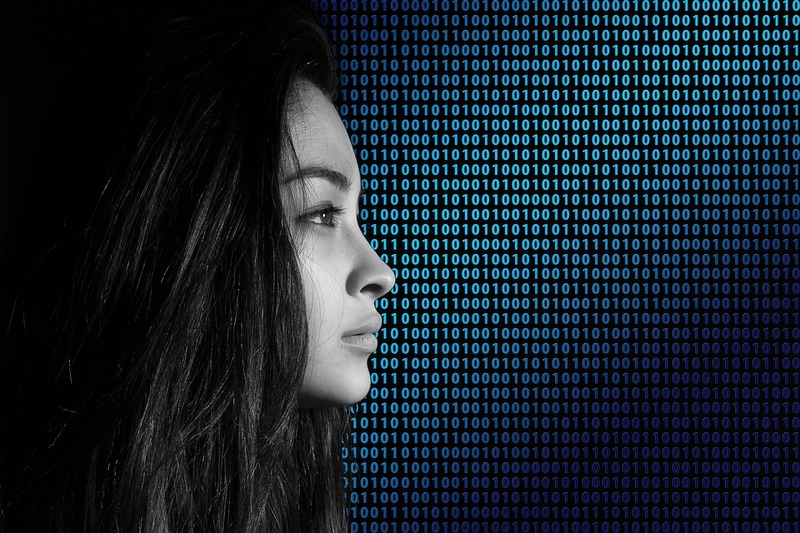 So we need to treat human data with respect and protect it excessively, even as we use it to inform the design of more meaningful experiences. If you don’t align human experiences with meaning, you risk building absurdity at scale. There’s a story I tell (and it’s in the book) about a big retailer encoding a behavior change that, at some point, could put a cultural norm in jeopardy. And the upshot is: experience at scale changes culture. Because experience at scale is culture. “Online” and “offline” are blurrier than you may think. This is basically the whole premise of my previous book Pixels and Place, but the short version of this insight is: just about everywhere the physical world and the digital world converge, the connective layer is the data captured through human experience. And to create more meaningful human experiences, we need to design more integrated human experiences. Everything is in flux. Embrace change. 70-80% of CEOs say the next three years are more critical than the past 50 years. The coming years, for example, are likely to see massive shifts in the scope and types of jobs humans do. Some companies will gain tremendous efficiencies from the use of automation; I propose that companies reinvest some of those gains into humanity in various ways: better customer experiences, job training, basic income experiments, etc. And that where possible, companies look to repurpose human skills and qualities toward higher value roles. Diversity in tech is a strategic asset. Scratch that: it’s an absolute imperative. We need women — and diversity of all kinds — in tech, leadership, and entrepreneurship for myriad reasons: because algorithms contain our biases, because it makes the space better for everyone, because we need diverse representations of the problems tech can solve, and on and on. 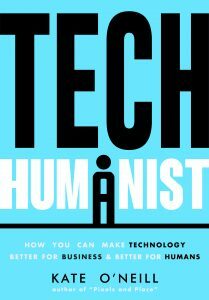 If these ideas and insights resonate with you, check out my book Tech Humanist: How You Can Make Technology Better for Business and Better for Humans. Or inquire about booking me to speak at your company or organization. Here’s to a more meaningful future for all of us.